It’s an important subject to handle, as a large amount of people don’t know much about the transgendered group. In the US, gay rights have come a long way but are not quite there, while the transgender community, being a rarer case and more complicated to understand, is quite off the radar. 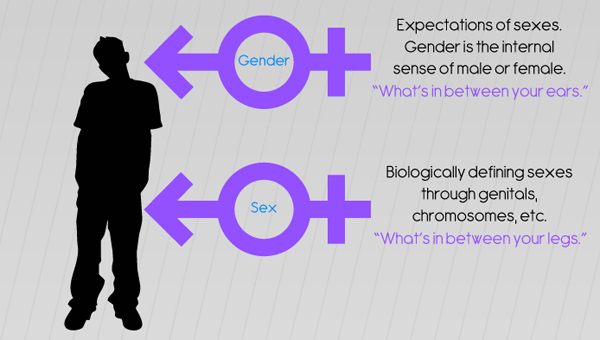 The statistics included were well-chosen, and someone seeing this infographic as their introduction to transgendered people will get a decent overview. Graphically, this infographic leaves much to be desired. There is a lot of waste space between the information, and while I don’t like it when too much is crammed into a small space, this one goes to far the other way. The pink, blue, and purple colours make clear sense thematically, but I just find the colours and lines with the relatively dark grey background a bit ugly. Also, it could use a heading title that is both larger and title-like, with a zippier or more memorable name. Nothing crazy, but more than just “Transgender”. This infographic was created by Charlie Rocket, and is available here. This entry was posted on July 6, 2011, 1:43 am and is filed under Society & Culture. You can follow any responses to this entry through RSS 2.0. You can leave a response, or trackback from your own site.